All you need to do is add this item AND the print of your choice to your cart. This item needs to be added with EACH print that you purchase and want upsized to an A3, otherwise your print will be sent as an A4. This option is only available with my A4 giclee art prints. 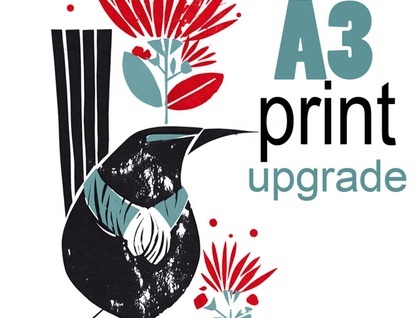 The A3 prints will be rolled and shipped in strong mailing tubes.